DENVER—(ENEWSPF)–April 11, 2017. Conservation groups have filed an administrative protest challenging a federal decision to offer for leasing in June more than 100,000 acres of federal public land in northern Colorado for oil and gas industry fracking. The leasing decision, being pushed by the Trump administration’s Bureau of Land Management over local community opposition, threatens some of Colorado’s most treasured and scenic landscapes and wildlife species. The decision paves the way for thousands of new fracked oil and gas wells in the Piceance Basin, increasing the strain on the already overdrawn Upper Colorado River with water withdrawals and the threat of new oil spills. It would pave the way for fracking in largely untouched Grand County, the headwaters of the Colorado River and a world-famous destination for fishing, hiking and tourism. This massive plan, casually dismissed by the BLM as having “no significant environmental impact,” will harm a host of sensitive and listed species including Colorado River and greenback cutthroat trout, greater sage grouse, Canada lynx, black-footed ferrets, white-tailed prairie dogs, rare wildflowers, deer, elk and moose. Resulting greenhouse gas pollution would worsen climate change, whose impacts the region is already feeling with reduced Colorado River flows. 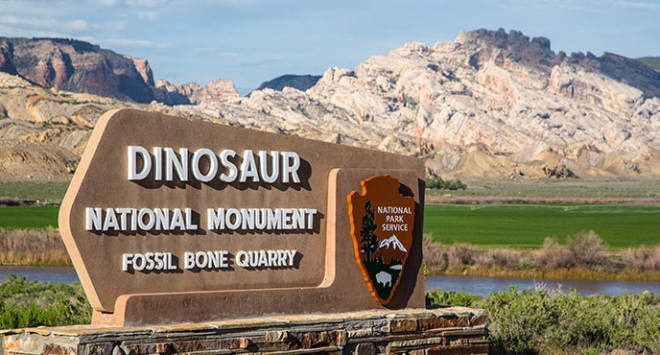 The giant sale threatens to industrialize lands and pollute air and water at the doorsteps of Rocky Mountain National Park and Dinosaur National Monument. Groups filing today’s protest include the Center for Biological Diversity, Living Rivers, Waterkeeper Alliance, and Sierra Club.